Forecasted levels of CO2 and ocean acidification over the next century have been reported to dramatically compromise the physiology and behaviour of many fishes. Most of this information has stemmed from lab-based experimental manipulations, yet in many cases the experimental approaches are unusual and there has been little effort to remove experimenter bias. We present robust, transparent, and repeatable experimental approaches to examine the effects of elevated CO2 (and other potential stressors) on the physiology and behaviour of fishes. We have been unable to replicate many of the impairments previously reported for fish acclimated to elevated CO2 (~1000 µatm). We have found some evidence for minor effects of CO2 (both positive and negative) on fish physiology and behaviour, but have yet to find conclusive evidence supporting the currently-proposed mechanism (interference of GABAA neurotransmitter function). The number of studies examining the physiological and behavioural effects of CO2 on fishes has increased exponentially in recent years. The results of the present study suggest that our understanding of the effects of CO2 has been compromised by unnecessarily ambiguous experimental approaches, and perhaps also a preference for doom-and-gloom stories in the climate change literature. 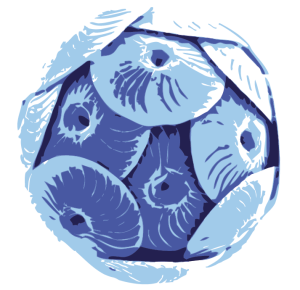 To avoid resources being wasted on unsuccessful efforts to replicate high-profile research papers, and to maximise the applicability of experimental research in helping to manage the ocean acidification crisis, we urge scientists to critically assess and refine their experimental approaches to ensure we gain an accurate understanding of the impacts of CO2 on global fish populations.